The Downtown Project in Las Vegas, an attempt to completely reinvent downtown Las Vegas spearheaded by Zappos CEO Tony Hsieh, is one of the better known downtown revitalization initiatives in America. I’ve been planning to write on it since I saw Tony speak about it in Providence last fall. I was kicked in the pants to finally do so by a trip I took to Vegas last week to check the Downtown Project out. Before going any further, I should disclose that I stayed there for free in one of the project’s “crash pad” apartments (more on those later). I also previously had a small financial relationship with affiliated entity. And I bought my running shoes on Zappos and might have gotten a free upgrade on shipping. But while this article will be very positive on Downtown Project, please stay tuned for part two before dismissing me as a shill. That’s where I plan to cover the negatives. There’s nobody better to tell you want the Downtown Project is than Tony Hsieh himself. Here’s the talk he gave on it in Providence at BIF-8, a sort of TED-like conference. If the video doesn’t display for you, click here. In brief, Downtown Project is seeking to reinvent downtown Las Vegas as a community oriented innovation hub. 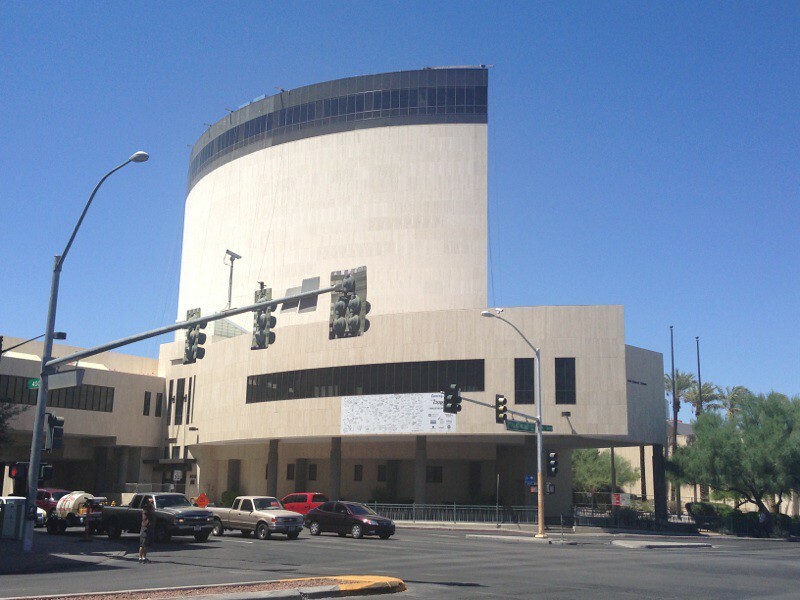 The genesis was Zappos’ purchase of the old Las Vegas city hall as a headquarters. Rather than a traditional tech campus like you might try to find in the suburbs, Tony wanted to build an urban campus more like NYU where Zappos was integrated into the city. This was not an entirely altruistic move. Research shows that corporations have sub-linear scaling. That is, they become less productive for innovation as they get bigger. But cities have super-linear scaling as they get larger. That is, cities get more productive for innovation as they grow larger. Part of the idea of Downtown Project is to preserve the innovative and productive capacity of Zappos as it scales by hybridizing the company with the urban environment of downtown Las Vegas. The strategy to accomplish this is basically Ed Glaeser meets Richard Florida. It’s about density, creative class activities, collisions (aka serendipitous interactions), and openness (aka tolerance). From there, as Tony puts it, “The magic will happen on its own.” Or that’s the theory. The magic is intended to be happiness, luckiness, innovation, and productivity. To make this happen Tony raised $350 million for the Downtown Project. It’s a separate entity from Zappos though it isn’t clear who the investors behind it actually are. (The information may be out there somewhere. Some have suggested Tony is paying for the entire thing himself. Once before he took every penny he made from selling a startup and rolled it into Zappos, so I guess it’s possible. He certainly has a huge appetite for risk. However, when I’ve heard him describe the project, it has only been as “privately funded” which suggests other investors. Given that this is in effect a Zappos campus buildout project, one would hope the company is actually contributing, especially as Amazon now owns it. Whatever the case, clearly Tony is calling the shots and is personally involved at the most intimate level). Now that sounds like a lot of money, but you could easily spend way more than that on just one real estate project. So instead of just trying to build a bunch of apartments or something, a good chunk of the money is penciled in for “software” type of activities. The allocation is $200M for real estate, $50M for tech startups, $50M for small businesses, and $50M for education, arts, and culture. 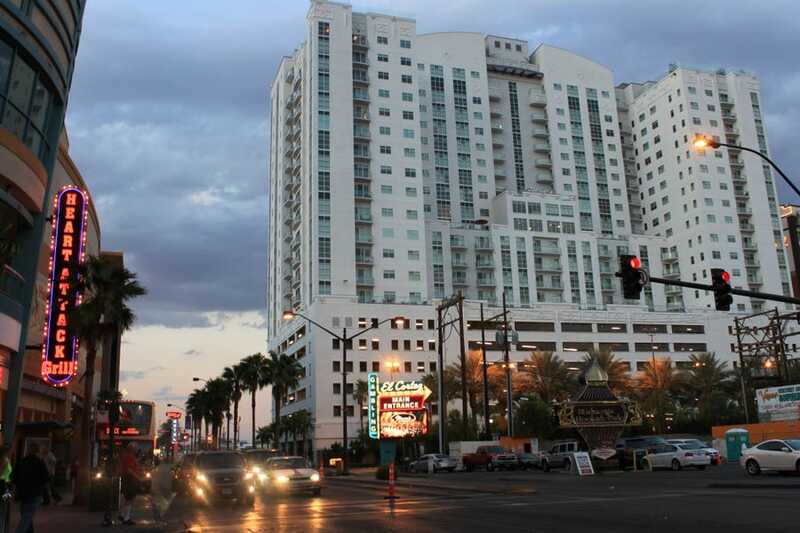 The real estate money seems to be going quickly as the Las Vegas Sun has reported that the Downtown Project has already spent at least $93 million just on land acquisition, buying 28 acres, mostly along Fremont between Las Vegas Blvd. and Maryland. Their ability to transform the city through purely building would appear to be limited. The software consists of two venture capital funds. One is going for traditional tech startups, many of which Tony is personally recruiting to Las Vegas. So far there have been about 30 takers, though these are mostly very small enterprises. The other is for small business infrastructure like boutiques, coffee shops, and restaurants with a focus on owner-operated businesses that are unique or best in class. The Beat Coffeehouse. (Not a Downtown Project funded venture AFAIK) – Image via Timothy DahlBoth of these are bona fide investment funds, but the focus is not necessarily short term profits. Rather, Tony likes to talk about “Return on Community” as their metric. This is really an investment mindset of necessity. Downtown Vegas has a huge chicken and egg problem. It won’t be attractive to business and residents unless there are cool things to do and the services people want. But the service oriented businesses won’t open until there’s demand. The Downtown Project is trying to solve this by in effect being a source of “patient equity” by pre-funding the services until critical mass is achieved. And of course the demand side is in part being addressed both by the Zappos move and the tech startup initiative. The goal is basically acceleration of what might have happened organically, though it’s too early to tell if there will be success. I’m not sure what all is in the arts and education fund, but there’s plenty going on in those areas, including a downtown speaker series (with a theater to house it), the purchase of public art from the likes of Burning Man, and a major music festival called Life Is Beautiful. This category seems to be a catchall for filling in the gaps between the others. I’m not sure what fund these fall into, but there are also co-working spaces for fashion (Stitch Factory) and tech (Work in Progress) with a Tech Shop like space coming soon. The project focus seems to be principally business attraction and programming. There’s little purely residential development to speak of, in part because that type of bricks and mortar project is so expensive. I’m sure the hope is that the environment will draw developer interest to provide the housing as demand is stimulated. To sum up, Downtown Project is Tony Hsieh as real estate developer + venture capitalist + philanthropist. In effect, he is trying to be a curator/impresario for downtown Las Vegas. I think there are two main things that the Downtown Project has going for it: the guy behind it and the city it is in. The first is the man himself, Tony Hsieh. First, he’s a successful, proven serial entrepreneur. He also clearly isn’t scared off by massive risk. Beyond this, he just has general gettitude on cities, which is something that too few people calling the shots in the redevelopment efforts of similar sized cities can say. Because he runs basically the highest profile non-casino business in down, he’s got the gravitas (and the money) to convince the civic establishment to go along with way he wants. Or at least to get out of his way. In too many cities, the people who know what’s up are marginal and uninfluential versus traditional power players. The knowledge capital is there, but it’s not paired up with clout like it is with Tony. And as a superstar entrepreneur, he can command massive attention outside Las Vegas, as well as be very influential in recruitment of startups, etc. Tony H. is clearly the indispensable man on this project. But Vegas is also the right city. I come at this as someone who has been a champion for overlooked post-industrial cities in the Heartland. So I’m guessing my reaction when I saw downtown Vegas is pretty similar to what advocates from other similar sized cities would say: This is it!? Let’s be honest, what’s actually been physically achieved in downtown Las Vegas to date is quite limited. The Downcity Arts District in Providence is better than Fremont East. Over the Rhine and downtown Cincinnati blow Vegas out of the water. Downtown Indy already has more tech employees than Vegas will even after Zappos makes the move. Honestly, it’s a bit infuriating as a guy who lived in Indy, Louisville, and Providence to see a place where so little has happened garner such massive press and accolades when most other regions the size of Vegas have done more while getting far less attention. The streets of downtown are nearly deserted even in the middle of the day. You could shoot a cannon off and not hit anything. 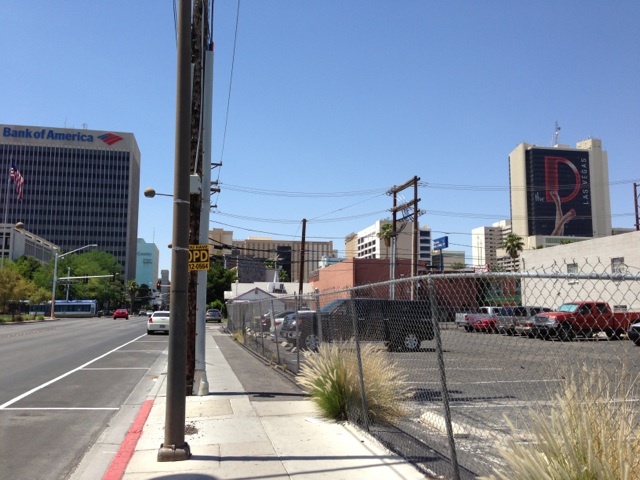 Las Vegas has the single most savagely bleak downtown of any major city I’ve ever visited. The Downtown Project is almost literally starting at zero. There are practically no assets. So anything that the Downtown Project accomplishes needs to be seen against that backdrop. Most of these other cities have been at the downtown redevelopment game for 30+ years, have massive architectural and institutional assets, and have already been the recipients of untold billions in investment, much of it public money. There’s next to none of that in Vegas. Frankly when you see what’s already been done and is being done with $350M – and so quickly – it almost makes you weep to think about the billion dollars or so in taxpayer money that has gone into stadiums and arenas alone in so many other smaller cities. Oh, what could have been done with that instead! 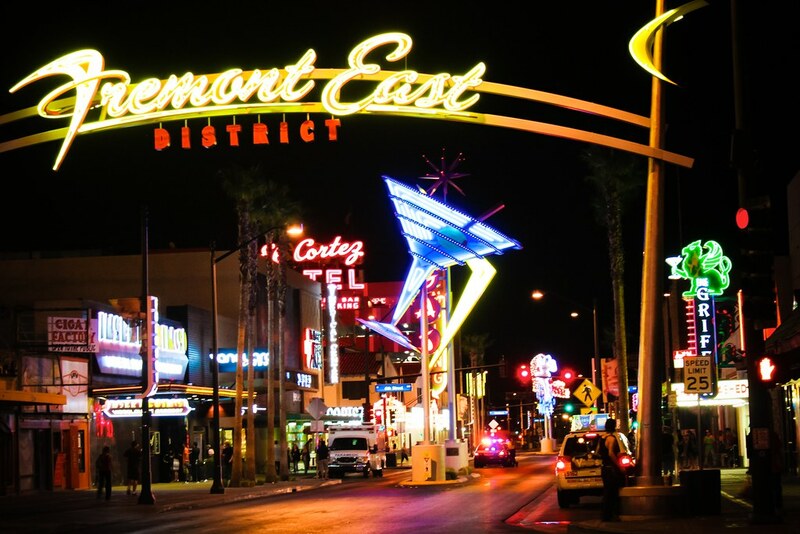 Fremont East, an exception to the rule of bleakness. Most of the establishments on this block are not gambling oriented. The core of the Downtown Project is to extend this several blocks to the east. Image via Flickr/davelawrence8At this point you may be wondering why I say this is a success factor. Simply, because it’s clear the elite of Las Vegas have completely abandoned and turned their backs on downtown. If they had even a smidgen of pride in their city, they would never have let it get like this with no effort to change it. This leaves the institutional playing field clear for people who actually know what they are doing. I was chatting with one of the Downtown Project employees who is from Rhode Island. He compared the ease of getting things done in Las Vegas with the near impossibility in Rhode Island. In most places, there’s a spider web of competing land interests, power brokers, politicians, etc. all fighting over what happens downtown (especially who gets to receive all the subsidies). This seems to be immeasurably less true in Vegas. All of the action is on the Strip, so the downtown playing field is wide open. This is one place where the term “blank canvas” might really be appropriate. There’s probably an ability to execute in Las Vegas that simply doesn’t exist in other cities because of the lack of competing interests. (This is also a huge problem for Downtown Project, which I’ll cover in the next installment). I want to wrap up this part with a look at some of the highlights of what Downtown Project is doing. Actually, the most compelling thing that they are doing, a combination of what they call “Subscribe to Las Vegas” and “Las Vegas Makes You Smarter,” I’m going to save for part two so I can use them as the exception that proves the rule. However, there are some other very interesting things. One is that Las Vegas is the only city I’ve ever visited that actually has sales and not just marketing. Let me explain. Every city in America obsesses over talent and spends beaucoup dollars on various talent initiatives, etc. Similarly, we hear about startups and building tech communities. But while everybody says they want this stuff, and while everyone has a web site and well-funded booster clubs, what nobody actually tries to do ever is actually recruit people unless there’s a specific job opening they are trying to fill. I always like to do my “Urbanophile test” when I go speak somewhere. Obviously if people are willing pay me to come speak to them, they must think there’s at least some value I bring. But how many places I visit will actually attempt to sell me on their community as a place I might want to live? The answer is zero. I’ve talked to more than enough people to know this is a common occurrence. Nobody is actually selling their city. Vegas is different. Downtown Project, and Tony personally, are aggressively involved in sales. They leased out 50ish units in a residential high rise called the Ogden (one of only a handful of residential properties downtown). They use these as what they call “crash pads.” They are for people who want to come check out downtown Vegas and the Downtown Project to stay free. They also make sure to showcase what they are doing. 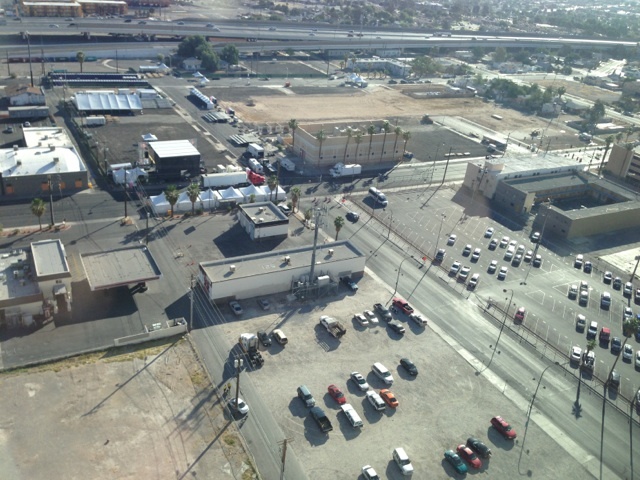 And they are going to try to show you how downtown Vegas could be a fit for you or your business. Tony himself is personally involved with this. I was able to take a small group walking tour with him, and part of his agenda was trying to sell a small retailer on setting up shop in a retail development they called Container Park. Here’s this guy who is a multi-mega-millionaire personally recruiting a small business. Hard to imagine there’s a lot of that going on in other places. Think having a tech rock star personally making the ask helps bring small tech outfits to Vegas? You bet it does. Unlike 99% of other cities in America, the downtown Vegas crowd is actually asking for the business. The car share program they are setting up is also interesting. Firstly, the backbone of the fleet will be 100 Teslas. How cool is that? They are planning to do an entirely electric fleet. Also, the idea is to integrate bike share and every other mode of transport you might need into the same system, and have it accessible from your phone. Lastly, a couple of the projects – the container space and a school – are oriented towards children. This is very rare to see, as families and children are simply not part of the equation in most cities that are targeting the “young and restless.” While the ubiquity of sexually oriented material in downtown Vegas means this will never be a truly kid-friendly environment, there’s at least an effort being made. That’s a look at the project and a number of the positives about it. If this seems like too much puffery for a traditional Urbanophile post, stay tuned. Thursday I’ll take a brief look at the nature of community and collisions in small cities. Then I’ll follow-up with part two of this series where I examine my reservations about the project and the challenges it faces. Stay tuned. 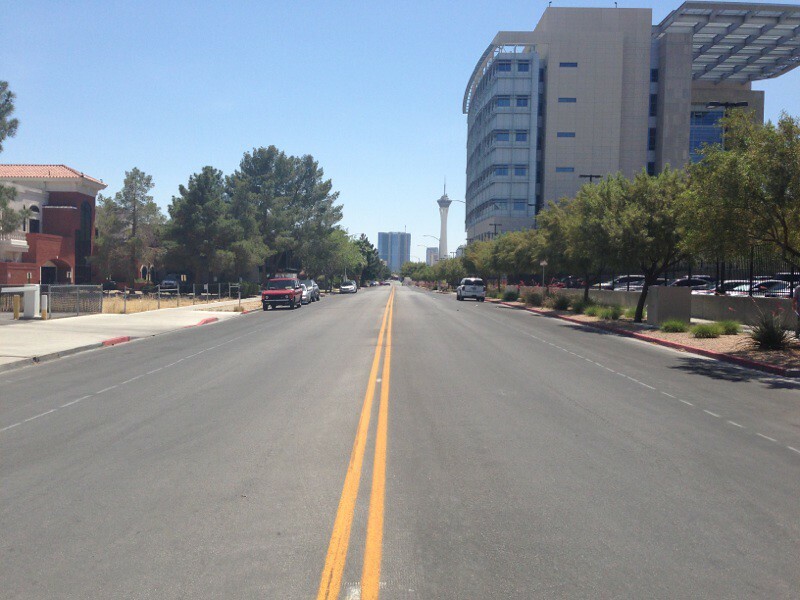 Is the across-the-street-from-Zappos view typical in terms of lack of street trees/greenery? If so, wow. I know it’s a desert climate, but you can see in the zoom-out photos on Google that irrigation is making golf courses, etc, possible here. Is any part of the Downtown Project investing in a tree canopy of any type? City Beautiful, the water authority in Las Vegas has been incentivizing xeriscaping…desert landscape vs. imported Eastern lawns and trees. They simply don’t have the water resources to pour water on grass and trees when it’s needed for drinking, washing, and flushing. A place that gets a few inches of rain per year is never going to look like cities east of the 100th Meridian. Nor should it. When I lived in Vegas, they mentioned that most golf courses use grey water to water their lawns. So water that isn’t suitable for consumption. Also, I know that when they host a tournament that golf courses, essentially paint the grass green to make it look better on TV. Their really isn’t a way to do a tree canopy in that city because of water. Often, the landscapes that look the best use rocks for design, as well as things like cactuses, palm trees, and Joshua trees. But, if no one is trying to maintain the area, nothing is going to really grow there. This is an interesting project, as vegas is really a suburban town more than any other town I have ever been too. Changing that will be difficult, as like you said, who wants to move their family that close to the strip. Let me rephrase the question: is there any local plant-growth based way to create shade on sidewalks in Las Vegas? Palm trees, olive trees, plum trees (the type in vegas tend to be small), pomegranate trees, and eucalyptus trees. Those are just some of the types of trees you often see in vegas. But, those aren’t really local, they are just able to survive there. When you go to the edge of vegas, the only type of plant life you will see of any reasonable height, is a Joshua tree. Which is like 8 ft. tall, if it is a large one. If you make it back into the red rocks there is a mountain stream back there with some trees, but they are only there because it is one of the few places with water at that altitude. I only watched half of the video, but as a whole the project seems very exciting. Obviously Zappos has been very successful, has significant capital and is basing it’s concept on the historic reality in other cities. Ironically, the thing that makes me most positive is that this seems to be an open canvas few people in the wider city care about. In most cities- the big “downtown” carries a heavy burden of nostalgia that must recreate the thriving downtown of 1930 or create a “world class brand”. Vegas never had an integrated thriving downtown, and it’s current brand is carried by areas like the Strip. Instead of being an entertainment and tourist “destination”, perhaps this can be a place in itself supplying organic community and convenience for the people who live and work in and near it. Oh, I just skimmed what Aaron wrote- we both seem to agree that the most positive thing here is that most people don’t care about this area and the field is clear for people who do care and have some ideas. The more interest traditional Vegas power players, politicians and unions show in this, the more negative, I will get. It does seem like Zappos has enough cache and social capital to fend them off. Or it could be I am writing this to get a free crash pad for a Vegas trip. I would be open to that. #2 Anonymous above was me. The innovative and green way to “grow” sidewalk shade in Vegas would be solar panel arrays that reduce the sunlight transmission to 25-50%…in other words, pergolas or arbors that support rows of solar panels instead of plants. Perversely, electricity in Vegas is relatively cheap because of water. (Hence the 24/7 neon city.) All the flow in the Colorado River that is allocated to California and downstream Arizona can flow through the hydroelectric plant at the base of Hoover Dam. Mr. Renn, I’m curious about your comment about people turning their backs on downtown. Was there ever really a downtown for people to turn their backs on? Las Vegas is a very young city. It wasn’t incorporated until 1911. At a time when street car companies were converting lines to buses ( lines; not necessarily whole system ), 1930, Las Vegas had just over 5,000 residents. In contrast LA already had 1.2 million people by that time. Providence had a quarter million. Cincinatti had nearly half a million. By 1950 Las Vegas nearly had 25,000 people and Clark County nearly twice that. In fact, historically the county seems to have always had a much larger population than the city. Allen, I make that self-same point the piece, noting that there is really no downtown in Vegas in the way that we think of it. Nevertheless, it was the historic core of the casino industry. That industry more or less abandoned downtown in favor of the Strip. …sorry, I hit the wrong key. I’m not sure there was ever much of a downtown for people to turn their back on. I’m not worried so much about the idea of people turnign their back on downtown. I’m more interested in the specifics of that because of what it makes the project. Revitalizing Over The Rhine is about bringing activity back to a part of the Cincinnati that used to be bustling a hundred years ago. It’s about beautiful old buildings and history. 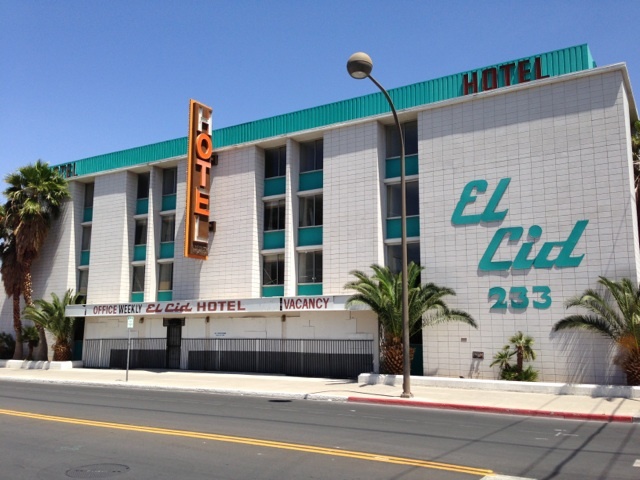 But if downtown Las Vegas doesn’t have that history and those lovely old buildings, what’s it about? I’m just yammering off the top of my head but it may be about how to bring people together and how to bring economic growth to a neighborhood area without much of any. That is, it may be more like a beefed up version of what many old inner suburbs need to turn to than what big, old historical cities need. A city has a functional use beyond, lovely old buildings. Call it whatever you want, Tony Hsieh does a good job explaining the idea of creating a level of mixed use density and creative community. He really doesn’t describe the idea as some kind of shopping or entertainment “destination” of the type so many city’s obsess over. Perhaps they should even drop “downtown” from the project’s name. That Vegas has failed to sustain a viable economy that goes much past casinos, tourism and housing construction, shows why this type of district is needed. I find myself agreeing with everything Aaron wrote here. In spite of the spin, most cities never try to sell people on moving to a place like this project does. I suggest they push the “crash pad” concept further by starting informal creative residency programs with work space for writers, technologists, artists, musicians etc.. I did a neighborhood plan in Vegas about 12-13 years ago for the City of Las Vegas, and I concur with Aaron’s assessment of downtown Vegas. There is no downtown, not in the sense of large cities elsewhere in the US. I distinctly remember the relative embarrassment that Vegas city planners had about the lack of activity in their downtown and their attempts to stimulate it. The real battle was between the City and Clark County, which rules the unincorporated parts that everyone recognizes as the Strip. I think the history here reflects the uphill battle of the effort. As Aaron states, downtown Vegas was really the first locus of the casino industry that sprouted in the ’50s. But as the casinos needed more space and glitz, they decamped for unincorporated lands beyond the city boundaries and the city itself was left high and dry. I definitely detected a slight undercurrent of contempt between city and county at the time. Just like some cities tried to compete with suburban malls by creating outdoor pedestrian malls in their downtowns, Vegas tried to recapture the experience of the early Strip years to no avail. I guess Tony Hsieh and others have finally realized they’ll have to create a downtown from scratch. I don’t think Tony Hsieh said much about “creating a downtown”. The NYU campus he sees as a model is not NY’s downtown. He talked about creating a creative, open, mixed use community, with a certain level of density in and around it. That should be the focus. In fact, the large scale festival concepts should gradually be scaled back. They are great at building local and national awareness and creating contacts but at some point, they will undermine the everyday creativity. Many small scale festivals, symposiums and educational events are a better idea. The big negative here is the extent this community revolves around the fate of Zappos. I know he is aware of that and trying to create balance. a good case might be made for filling buildings gradually with staff so that the area isn’t one dimensional. The other huge negative is that Vegas totally lacks the normal tech university one normally associates with start-up hubs like this. The form the education component takes will be critical. Can they create a free form learning environment he is talking about? What form will it take? If we assume Richard Florida is mostly right about the three T’s, talent, tolerance & technology- Vegas has a leg up in terms of tolerance. People with lots of hang-ups are just unlikely to move there. Proximity to Silicon Valley and Los Angeles is another huge plus. With that said, some people have predicted for years that Vegas would be America’s Hong Kong and develop a diverse economy beyond just gaming and tourism. This might be the moment when this could happen. Clearly, the anti-urban mindset in the city was a major barrier. John, I wouldn’t get too hung up on a formal education component of any city’s redevelopment plans; I suspect the “eds” part of eds and meds is on the decline as an economic driver. Perhaps free public libraries, with their vast rooms of free-use computing devices and high speed internet access, will eclipse universities as centers of learning, research and collaboration. Maybe a central public library could be a key driver in creating Hsieh’s “downtown Las Vegas”. I agree that Eds as we currently know them as a path to bring billions in “research grants” and subsidized student tuition is going away. However, education and start-up tech scenes are normally quite connected. Perhaps Vegas will make breakthroughs in continuing learning and developing new models of learning- as a place where people can learn from each other. Great article and the comments have been even better. 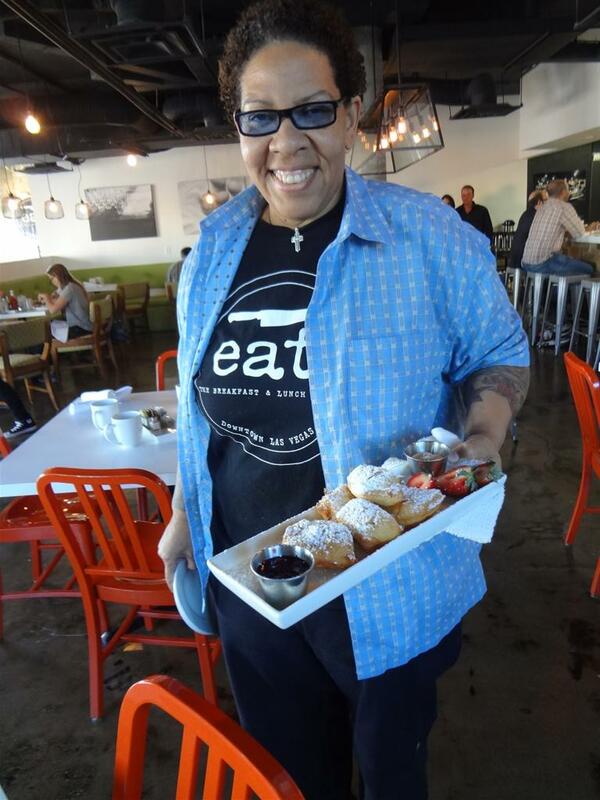 I agree that what Tony’s doing downtown is more like creating a community than a downtown. A downtown is usually something someone visits. A community is something where people lives. With that said, I live in Henderson and love what’s going on downtown. I don’t have any interest in living there, but my future employees might and that’s great. The university issue is a big one. Although, I’ve been working on a different angle for Las Vegas. In what other city is it as normal to go straight to a job out of high school instead of aspiring to go to college? I see these high school graduates as an amazing future for Vegas Startup companies. We need to do more to cultivate them, but it presents such a promising possibility. -Go work at a startup company instead of a bartender, valet, etc. -Works on their own startup by day and part time in the high paying bartender, valet job at night. All of these are great options and could be done really well in Las Vegas. Plus, there’s a lot more entrepreneurship happening outside of downtown that is complimentary to what Tony’s doing. i missed the school part. in regards to a school? i read about teach for america and ccsd but is there something else going on with a school? @adam, I believe the project does include a private K-12 school, though I didn’t study that part of it in great detail. Seems like Youngstown’s downtown revival is a good model. It’s hardly a totally thriving hub with lots of retail, but a growing community has grown up oriented around urban business incubators. Of course, Youngstown had a university near the downtown to play off.